The Acura TLX is a mid-size four-door luxury sedan. 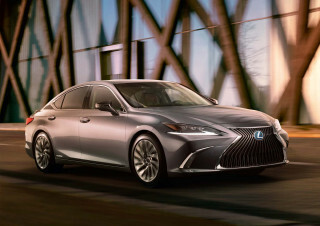 Slotted between the ILX and RLX sedans, it replaced the former TSX and TL four-doors. 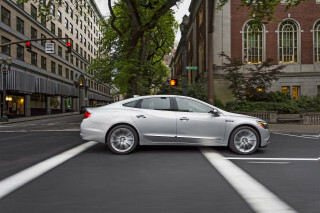 With the TLX, Acura has a rival for sedans such as the Buick Regal, the Lincoln MKZ, the Volvo S60, and the Lexus ES. With a more expressive sense of style, the Acura TLX comes across as a handsome update on the themes from the latest Acura products. 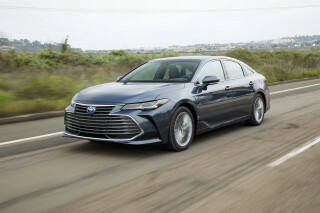 It's neither offensive nor terribly exciting, though it looks much more balanced than former Acura four-doors that wore a beaky, pointed grille. The TLX is offered with a choice of two engines. Base models come with a 2.4-liter direct-injected 4-cylinder making 206 horsepower and paired with an 8-speed dual-clutch automatic. For a little extra, buyers can choose a 3.5-liter V-6 good for 290 hp and mated to a 9-speed automatic. V-6 versions also use cylinder deactivation technology, which can shut off three cylinders to save fuel under lighter loads, such as cruising on the highway. Front-wheel-drive versions of the TLX get one noteworthy piece of technology handed down from the top-of-the-line RLX sedan: the Precision All-Wheel Steer system, which turns the rear wheels slightly in a way that will either add to maneuverability at low speeds or aid stability at higher speeds. 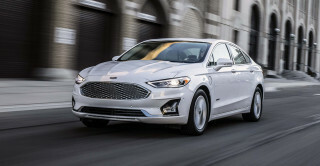 All-wheel drive is available on V-6 models, featuring a new, lighter version of the brand’s Super-Handling All-Wheel Drive system with rear-axle torque vectoring. Dedicated modes allow the driver to cater the driving experience to their desires. As part of a so-called Integrated Dynamics System, the TLX gets Econ, Normal, Sport, and Sport+ settings, with each one affecting power-steering calibration, throttle response, transmission shifts, Active Noise Control settings, climate control operation, and the calibration of the all-wheel drive or rear-wheel steering system. The TLX’s overall length is around 190 inches, which is close to the former TSX's measurement; its 109.3-inch wheelbase is carried over from the TL. The TLX is just as roomy inside as the TL—in other words, still a bit roomier in back than the German sport sedans in this size class. Active Noise Control helps keep the cabin quiet, as do new body-sealing and sound-insulation measures. An array of accident-avoidance technologies, some of them offered on the RLX and MDX, are baked into the TLX. Forward-collision warnings with automatic emergency braking, active lane control, adaptive cruise control, and blind-spot monitors are available on top-of-the-line versions. The TLX has achieved a top five-star overall rating from the federal government, and mostly top "Good" scores from the IIHS, except for an "Acceptable" rating on the small-overlap crash test. Priced from the low $30,000 range, the TLX comes standard with power features; cruise control; Bluetooth; Apple's Siri Eyes Free; and a AM/FM/satellite radio sound system with seven speakers. 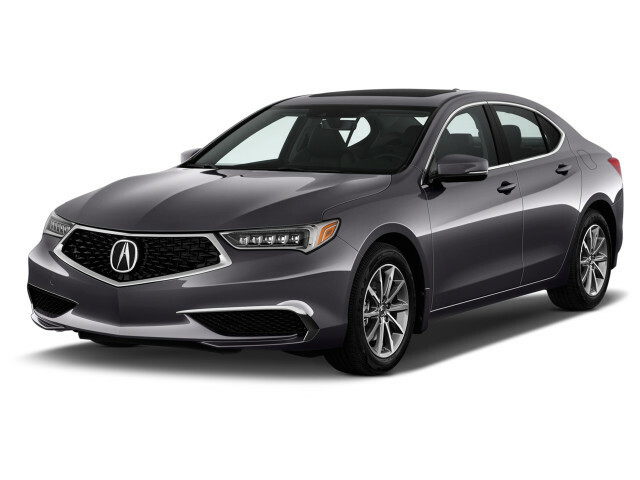 In 2018, Acura refreshed the TLX and gave the sedan a new grille, new infotainment system, and a new sporty A-Spec trim line for models equipped with a V-6. In 2019, Acura gave the A-Spec treatment to inline-4 versions. My TLX is outstanding in almost all things. The interior/exterior is a little dated. Acura could have modernized a little more. Fine safety features, sub 6 second 0-60 and over 30 MPH on the highway! Great quality and comfort in a family sedan.